How well are you doing collecting final bills…? A previous issue dealt with improving final bill collection rates. So how do you know if your efforts are paying off? In the final issue of last year, looking back at 2013 and looking ahead to this year, I solicited ideas for newsletter topics. Thanks to a couple subscribers, I got several good ideas. One of those asked about benchmarking collection rates for final bills. Provided your billing software offers an aged trial balance, or some other aging report, using the totals from this report can provide an effective way of tracking the success of your final bill collection rate. If your utility bills monthly, and you have any semblance of a cut-off policy, it’s safe to assume any outstanding balances over 60 days old are final billed accounts that haven’t paid. Do you have balances over 60 days old that are still active accounts? If so, you may want to review your utility’s days of exposure. If you compute your delinquent receivables percentage over the course of several years, you can plot this on a graph and observe the trend line. If it is trending downward, congratulations! Your final bill collection rate is improving. If you write off seriously delinquent accounts on a infrequent basis (for example, once a year) be sure to take this into account. For obvious reasons, your delinquent receivables percentage will drop significantly immediately following a write-off. Likewise, for utilities in states with debt set-off programs, if you are aggressive in pursuing debt set-off collections, you will see a sizable increase in delinquent collections in March and April. Following the trend over the course of several years will help offset the impact of write-offs and debt set-off collections. Is your final bill collection rate as good as you would like it to be? If not, it may be time to review your policies and procedures. Please give me a call at 919-232-2320 or e-mail me at gsanders@logicssolutions.com to learn more about how a business review could assist you with improving your final bill collection rate. What is your utility’s “corporate culture”…? We often read about “corporate culture” in the business world. I believe that utilities can effectively fashion an organizational culture that includes sound (some would say “tough”) business practices and policies while still being customer friendly. Most utilities, whether government agencies, non-profit entities or for-profit enterprises, operate as monopolies. This means your customers can’t take their business elsewhere and you have an obligation to provide a service at the lowest possible rates. Maintaining the lowest possible rates requires operating your utility as efficiently as possible while protecting against losses. Losses for a utility can include theft of service or embezzlement, but most often are seen in bad debt accounts that must be written off. I don’t believe enforcing fair and effective policies and procedures is at odds with being customer friendly if you have communicated these business practices to your customers. Failing to clearly inform customers of your policies and procedures is bad business and borders on deception. Another imperative to being customer friendly is treating your customers equitably and applying policies fairly to all customers. This includes not granting special favors to influential or politically connected customers or friends and family members of utility employees. What is your utility’s organizational culture? Do you treat your customers fairly and hold them all to the same standards? Do you take advantage of every means possible to communicate your policies to your customers? If you do all the things listed above, I believe it is absolutely possible to have an organizational culture that allows you to be both customer friendly and still operate a utility that adheres to sound business practices. How does your utility measure up? Is your utility is operating as efficiently as possible? Are you are as customer friendly as you could be? If the answer to either of these questions is “no” (or if you’re honestly not sure of the answer), please contact me by calling 919-232-2320 or e-mailing me at gsanders@logicssolutions.com to see how I can assist you. It is no secret that the key to avoiding bad debt and write-offs is getting your customers to pay their final bills. Today, let’s take a look at some steps you can take to improve your final bill collection rate. 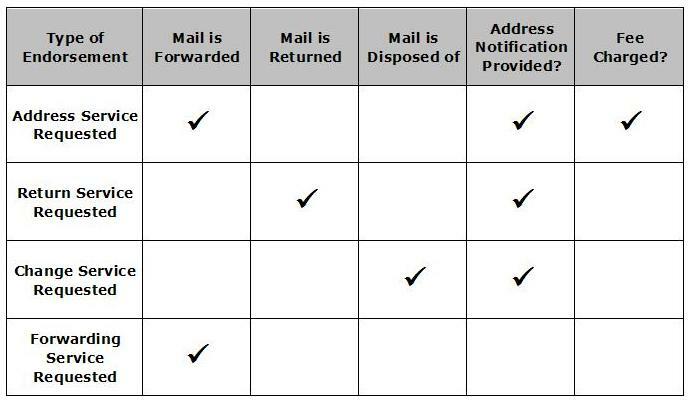 How frequently do you mail final bills? If you bill once a month (or less frequently) do you wait until the next regular billing to send final bills? If you bill several times a month, do you still mail final bills with the next regular billing cycle for any customers who have left? If you answered “yes” to either question, I encourage you to consider sending final bills more frequently. I recommend mailing final bills every week, for accounts that were closed during the previous week, even if it means only printing a few bills. It is only human nature that the sooner someone receives a bill, the better likelihood that they will pay the bill. Anyone who has ever moved to a new home or apartment is well aware that there are expenses associated with the move. And you want to be sure that your final bill is paid before your former customer starts buying furniture for their new home! When a customer calls to let you know that they will be moving and requests that you terminate their service, do you ask for a forwarding address? If not, I strongly encourage you to start doing so. Only the most conscientious of customers will make an attempt to pay a bill they never received. Being sure that your customers receive their final bills is the single most effective way to insure that they will pay that final bill. As you can see, which type of endorsement you use makes a difference as to what happens if the bill can’t be delivered as addressed. I encourage you to be sure that you are using the type of endorsement that best suits your organization’s needs. Do you send delinquent notices to final billed accounts? If you don’t send delinquent notices to final billed accounts, I recommend that you start. In the confusion of moving and getting settled in a new home, bills can be misplaced. Often, a delinquent notice is all a customer needs to remind them that they haven’t paid their final bill. If you have questions about your final bill procedures, please give me a call at 919-232-2320 or e-mail me at gsanders@logicssolutions.com.